Well completion for the deepest and most productive German well. Geothermal energy is a perfect example for renewables. It is resource-saving, produces no pollution and the availability is almost unlimited. 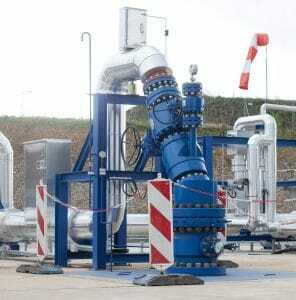 The city of Traunreut is an ideal location for geothermal energy since it is situated in the Bavarian Molasse Basin. 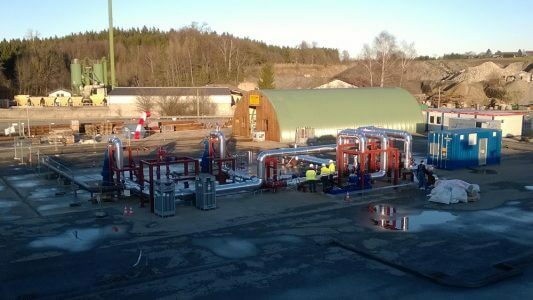 With two wells drilled successful and the installation of the district heating transmission station, Traunreut feeds geothermal energy in the municipal network. 3000 housing units as well as industrial clients are supplied this way. The geothermal power plant will presumably produce climate-neutral electricity by 2016. The deepest and most productive German well – gec-co GmbH has faced this challenge together with Hartmann Valves GmbH. 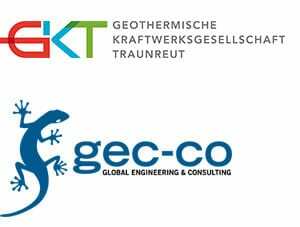 We as consultant engineers were impressed by the large geothermal expert knowledge and the dedicated effort by the Hartmann team. We are highly satisfied with the Hartmann components. They are running maintenance-free since the initial operation in early 2014. 您能非常简单地通过该电话号码联系我们： +49 5085 9801 0.